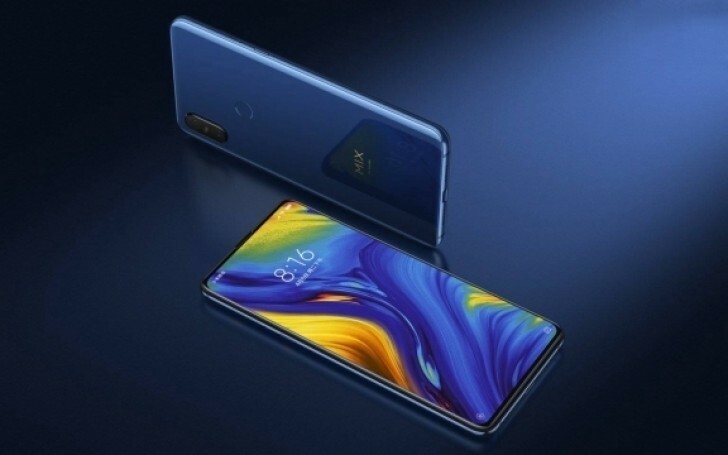 For the past weeks, there has been a lot of rumors, speculations, and leaks regarding the Xiaomi Mi MIX 3. All that has now been laid to rest as the company unveiled this smartphone at the Forbidden City in Beijing, China today. 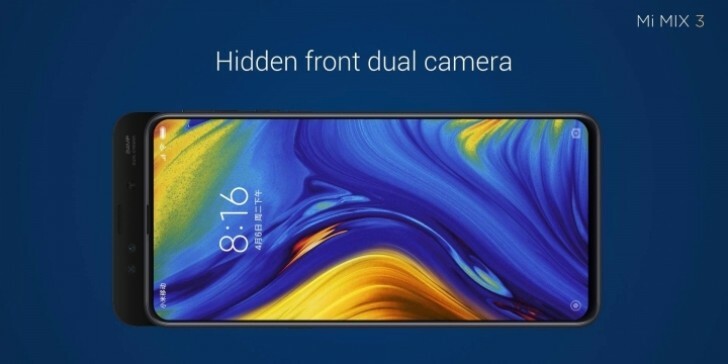 Amongst other things, the Xiaomi Mi MIX 3 prides as the first smartphone to use a magnetic slider design for its front camera and it is also the first Xiaomi phone to sport a dual front camera. 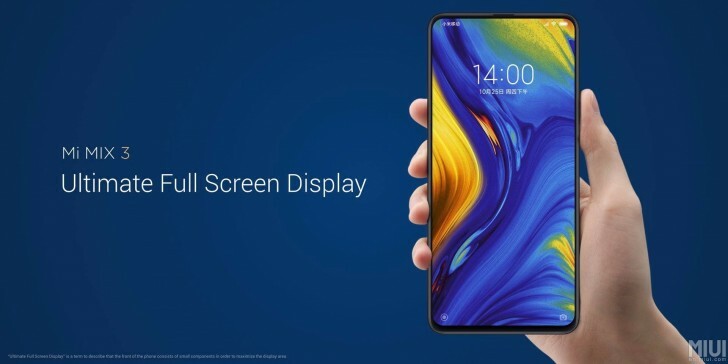 The Xiaomi Mi MIX 3 is equipped with a 6.4-inch AMOLED screen which has a 93.4% screen-to-body ratio and Full HD+ resolution. Well, looking at all the hype about the screen-to-body ratio close to 100%, one would have expected 97% and above. However, 97% seems like asking for too much from Xiaomi. The camera department is quite interesting. On the rear, we have a 12MP+12 MP dual rear camera setup. While the primary sensor is a Sony IMX363 with 1.4µm pixel size and f/1.8 lens, the secondary sensor is a telephoto lens with f/2.4 aperture and 1.0µm pixel size. 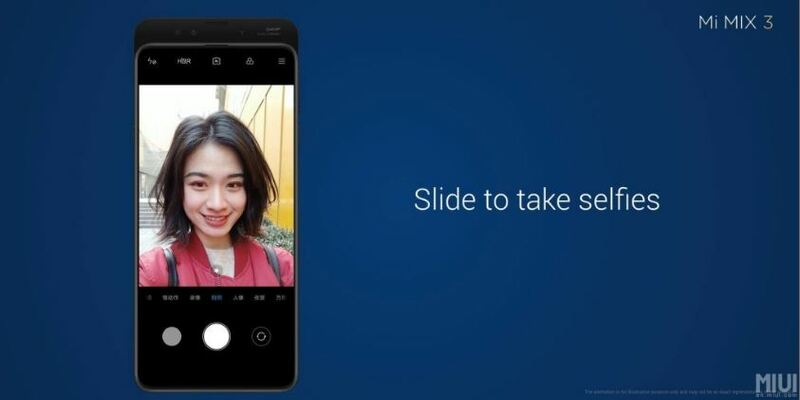 The magnetic slider reveals a 24 MP+2 MP camera configuration for selfies. The main sensor is a Sony IMX576 lens with 1.8µm pixel size and captures good low-light images. In addition, the Xiaomi Mi MIX 3 comes with a Night-Mode feature that allows you to take long exposure shots. Furthermore, just like the speculations, this smartphone supports 960fps slow-motion videos with auto background music. This is possible due to its AI engine. The DxO Mark score for the Mi MIX 3 is 103, beating out the Mi MIX 2S & Mi 8! The Xiaomi Mi MIX 3 is powered by Qualcomm’s Snapdragon 845 SoC coupled with 6GB, 8GB or 10GB of RAM and 128GB or 256GB storage. The 10GB RAM variant is called Forbidden City and will be available from November. In addition, this smartphone will have a 5G version but that would be next year (Q1). Note that there is no SD Card slot and 3.5 mm audio jack on this one. We all expect the Xiaomi Mi MIX 3 to run on MIUI 10 out of the box and it did. This smartphone also comes with a dedicated AI button. This button helps to activate Xiao AI, Xiaomi’s proprietary voice assistant feature. It only speaks Chinese though so its a NO for global users. All versions of this smartphone support a 10W wireless charger via USB-C port. However, one information that is conspicuously missing from the official release note is the battery capacity. Does Xiaomi have something to hide? Speculations say 3750 mAh or 3850 mAh. We even heard 4000 mAh today. However, with all the optimizations in the system, 3750 mAh would not be bad. The Xiaomi Mi MIX 3 will be available in Jade Green, Sapphire Blue, and Onyx Black. Pre-order of this smartphone starts today for the regular variants while the actual sale will start from November 1. The 10GB RAM Forbidden City edition will be available in November.